Oliver Jarvis claimed his first FIA World Endurance Championship win yesterday when he took his #8 Audi R18 to victory in the Six Hours of Spa. In one of the most exciting and event-filled races in the history of the WEC the Briton crossed the line two laps ahead of the Romain Dumas in the #2 Porsche 919 Hybrid which completed virtually the entire race without the use if its hybrid power. Third step on the overall podium went to the #13 Rebellion R-One of Matheo Tuscher, Dominik Kraihamer and Alexandre Imperatori which, due to the numerous problems faced by the manufacturer squads, took a shock third place overall giving Rebellion Racing their second overall podium spot for 2016 (having been elevated from 4th to 3rd at season opener Silverstone following the disqualification of the #7 Audi for a technical infringement). 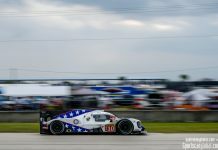 Under the uncharacteristic warm weather and blue skies, the second round of the 2016 Championship saw all three of the factory LMP1 teams face considerable difficulties. 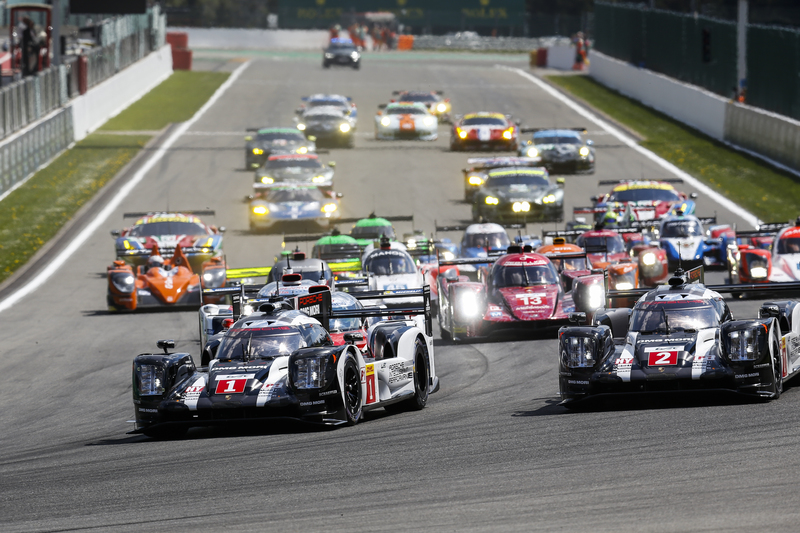 The hybrid system on the #2 Porsche 919 failed after just 15 minutes of racing, leaving the Stuttgart prototype to run virtually the entire race on the conventional gasoline powered engine alone. Porsche’s woes did not end there however, as their pole-sitting #1 car picked up a puncture which, during the run back to the pits, saw the tyre carcass disintegrate causing damage to the bodywork and leaving debris on the track. After a tyre and driver change (Webber in) the same wheel punctured again a few laps later leading to another trip to the garage for the #1 car. Combined with gearbox issues the 2015 World Champion’s car ultimately spent the majority of the race in the garage. Toyota Gazoo Racing suffered a double engine failure with the #6 TS050 the first to retire after 87 laps due to electrical problems following contact with another car. Just one hour later Kazuki Nakajima was leading the race with almost a lap in hand when his #5 car suffered what appeared to be a catastrophic engine failure at Raidillion leaving the Japanese driver no option but to limp back to the garage. In what is a WEC first, the Toyota engineers managed to get the hybrid system on the #5 TS050 completely recharged enabling Nakajima to exit the pits with 1 lap of the race remaining to complete an entire lap of the Spa Francorchamps circuit under electrical power alone, ensuring that the team collected valuable points for completing the minimum race distance to be classified. In the Audi garage, the #7 car faced multiple trips to the garage for a broken floor, temperature issues and collisions/incidents. Despite a late-race collision with the #43 RGR Sport by Morand Ligier JS P2 Nissan, the #7 Audi eventually limped home to claim fifth place overall. Even eventual winner Jarvis made a visit to the garage in the final hour (during the safety car period) to change the car’s rear deck. 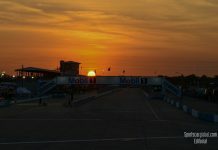 The change cost Jarvis one lap however the #8 car still ended the race with a two-lap advantage giving Jarvis and co-driver Lucas Di Grassi their first career WEC victories, alongside 2013 World Champion Loic Duval. In LMP2 the final laps provided edge-of-the-seat racing with four cars battling tooth and nail for the win; the #36 Alpine A460 Nissan, #31 ESM Ligier JS P2 Nissan, #45 Manor 43 Oreca 05 Nissan and #43 RGR Sport by Morand Ligier JS P2 Nissan all looked possible winners. However, with 10 minutes of the race remaining, Nicolas Lapierre in #36 car made a brave three-car wide pass to re-take the lead from Pipo Derani in the #31 (passing the #67 Ford GT at the same time) and the eventual win. Derani held on for second spot with Manor claiming third and taking their first WEC podium for the #45 car of Rao, Merhi and current Le Mans P2 Champion Richard Bradley when Roberto Merhi made a last minute move on Filipe Albuquerque in the #43 RGR Sport by Morand. British favourite Strakka Racing had a terrible weekend with their Gibson 015S Nissan somewhat off the pace, Danny Watts collecting the tyre carcass from the #1 Porsche 919 Hybrid and an eventual retirement due to engine issues. In the GTE classes, AF Corse took the Pro Category win when the #71 Ferrari 488 GTE of Sam Bird and Davide Rigon inherited the win from the sister #51 car following its retirement just a few laps from the end. The all-British crewed #67 Ford GT of Marino Franchetti, Andy Prialux and Harry Tincknell claimed the second step on the podium one lap behind the Ferrari and third went to the #97 Aston Martin Racing Vantage of Richie Stanaway, Fernando Rees and Jonny Adam. Two of the contending GTE Pro cars crashed out in spectacular style; Niki Thiim was tapped by Simon Dolan in the #38 G-Drive as the pair exited La Source throwing the #95 AMR into a sideways slide resulting in the rear smashing into the tyre barrier, somersaulting the Aston Martin 360 degrees to land again on its wheels. An hour or so from the end of the race, Stefan Mücke, after exiting the garage for repairs to the car’s turbo, took a spectacular slide coming out of Eau Rouge as his #66 Ford GT appeared to loose an engine cover, unsettling the car and slamming it into the barriers at Raidillion and bringing on the race’s only safety car period. Thiim walked away from the crashed Aston Martin and Mücke was taken to the circuit medical centre by ambulance. Both drivers were declared bruised, but thankfully, OK.
Aston Martin Racing took the class win in GTE Am with Pedro Lamy bringing home the #98 car he shares with Paul Dalla Lana and Mathiaus Lauda one lap ahead of the #83 AF Corse Ferrari 458 GTE. Despite a number of issues with exceeding track limits, the #50 Larbre Competition Corvette C7-Z06 claimed the final step on the podium.